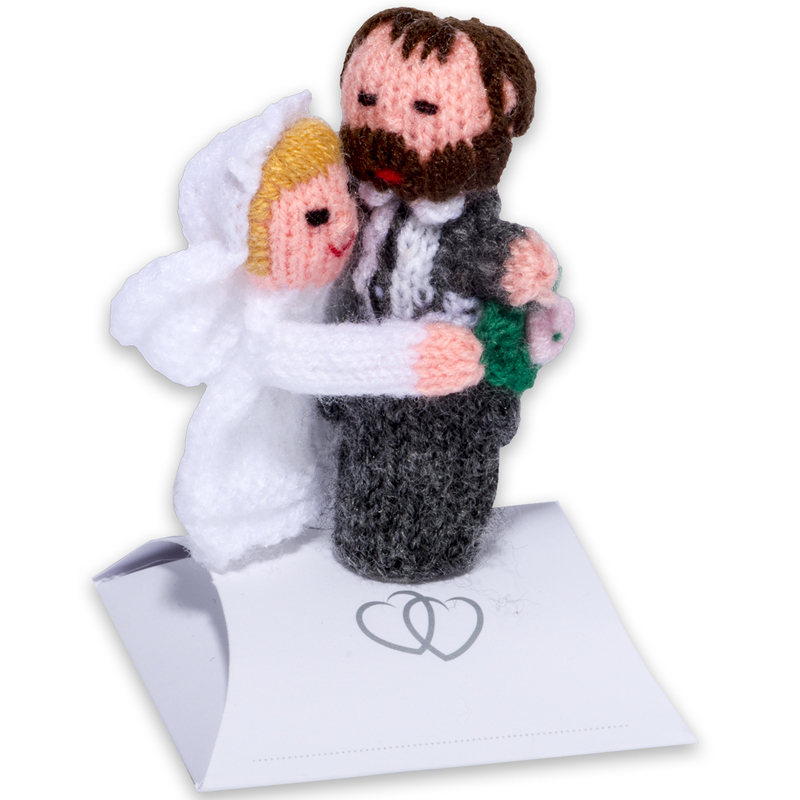 Pair of hand knitted finger puppets wedding favour with stand. Beautifully hand crafted with incredible detail, these unique wedding favours are guaranteed to add fun to the special day. (This listing is for the bald groom puppet (light skin) and choice of bride puppet but please see our other listings for alternative groom type and combinations including facial hair options!) The bride and groom are separate puppets but the bride hooks over the groom. 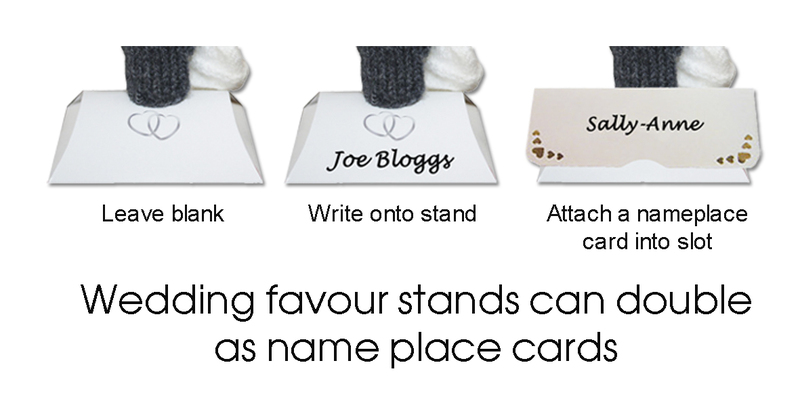 They come with a choice of cardboard stands which can be written on to make a great name place card and also filled with sweets for an added touch. 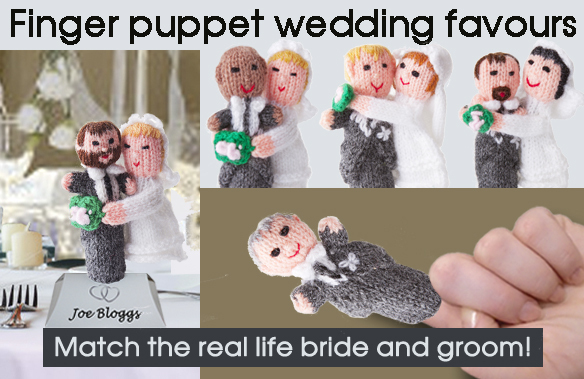 These super cute puppets are suitable, and loved by all ages and are ideal for breaking the ice between guests! Because of the hand made nature of the puppets they may vary very slightly from the pictures shown. Although we keep a good stock of all puppets, please order in plenty of advance of the big day to avoid disappointment. 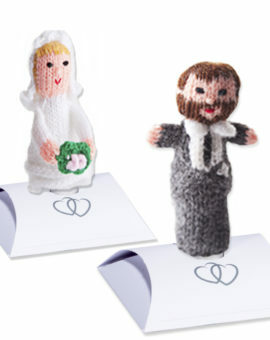 Pair of hand knitted finger puppets wedding favour with stand. 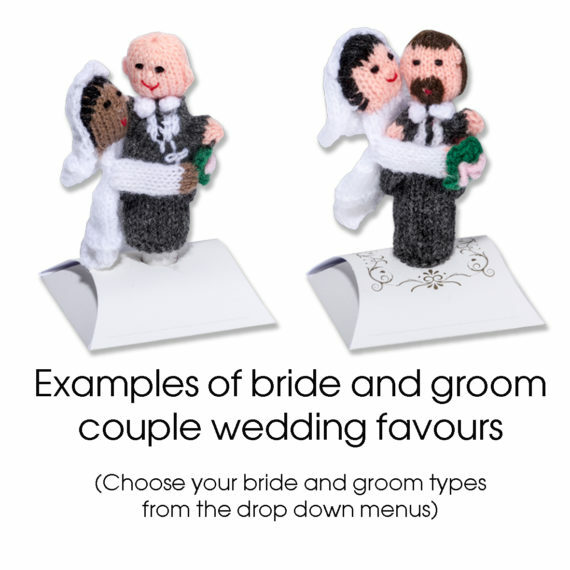 Beautifully hand crafted with incredible detail, these unique wedding favours are guaranteed to add fun to the special day. Please pick your bride and groom combination from the drop down menus. 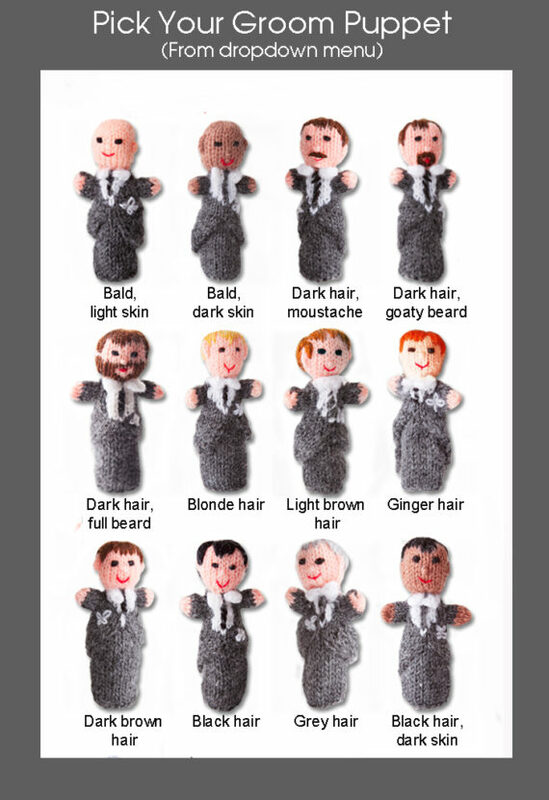 There are a variety of hair, facial hair and skin colour options to choose from). They come with a choice of cardboard stand (please choose from drop down menu) which can be written on to make a great name place card and also filled with sweets for an added touch. 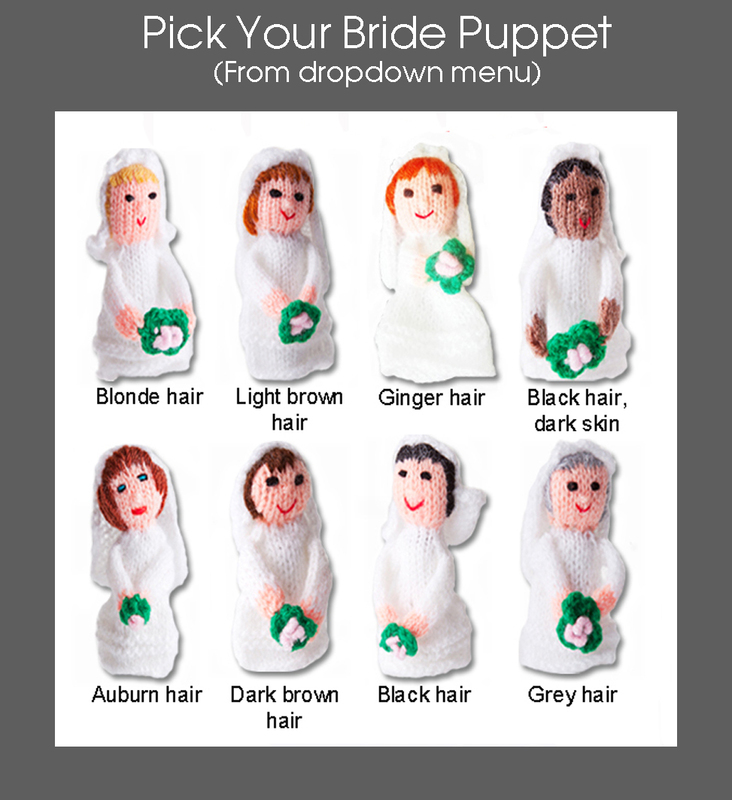 These super cute puppets are suitable, and loved by all ages and are ideal for breaking the ice between guests! 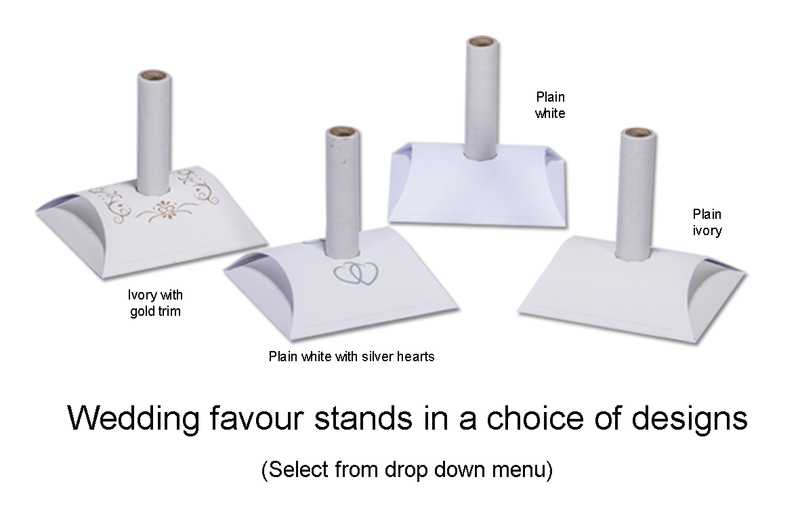 Because of the hand made nature of the puppets they may vary very slightly from the pictures shown. 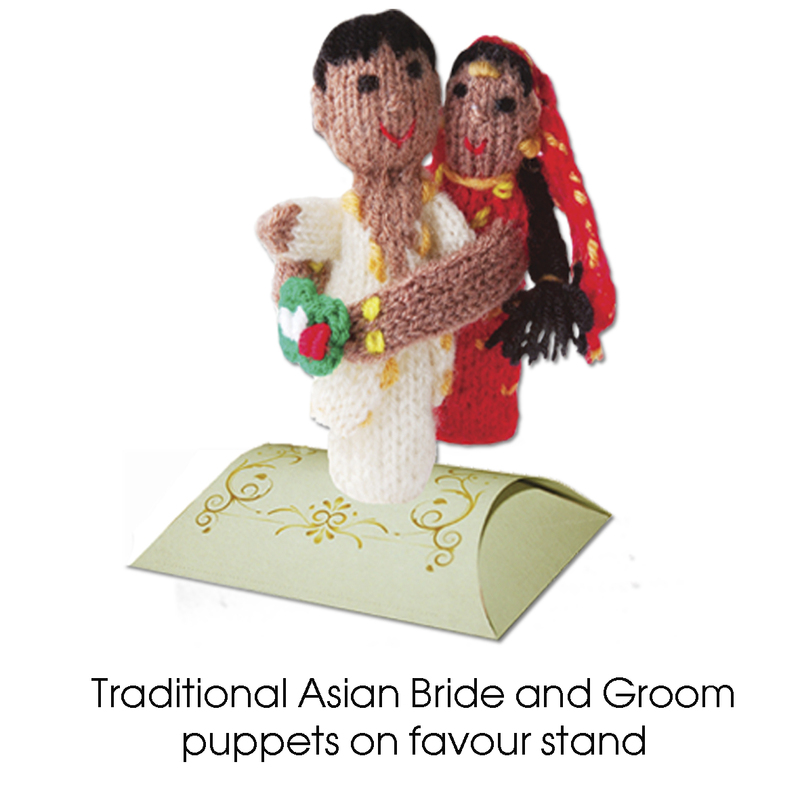 Although we keep a good stock of all puppets, please order in plenty of advance of the big day to avoid disappointment.